My husband is a man of insight. Oh my, this is a sphynx kitten?? 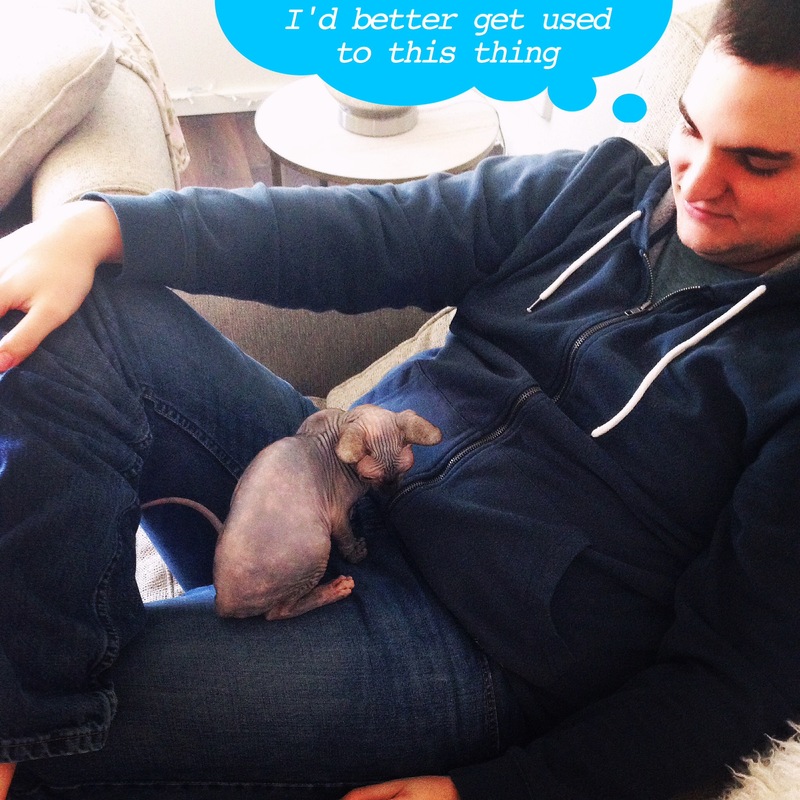 Yes, he’s a Sphynx kitten. I may be partial, but I sure think he’s one of the cutest little guys out there!